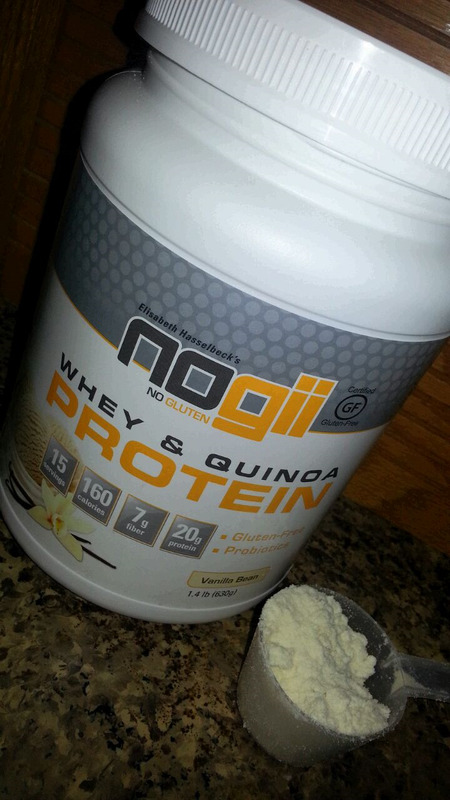 Being Frugal and Making It Work: NoGii ~ Protein Packed, Gluten Free Energy for Families On The Go! 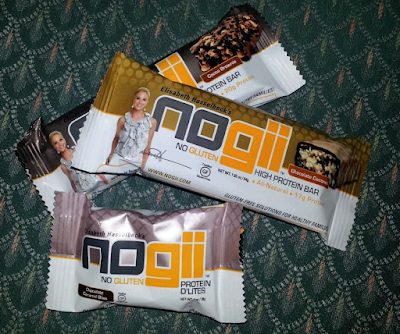 NoGii currently has a variety of gluten free products consisting of various high protein and super protein bars, paleo bars and whey & quinoa protein powders. All products are certified gluten-free, made with premium ingredients; contain no high fructose corn syrup, hydrogenated oils or trans fat. NoGii products include NoGii High Protein Bars, NoGii Super Protein Bars, NoGii Paleo Bars, NoGii Whey & Quinoa Protein Powders, and NoGii Protein D'lites! 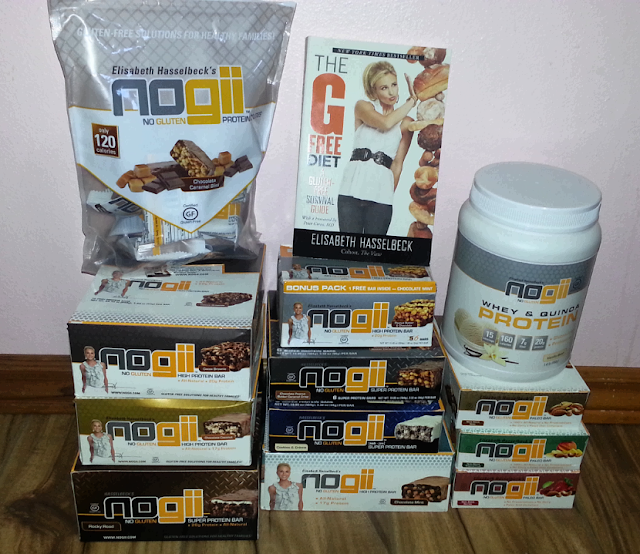 I will admit that I haven't tried all of the great Nogii products that we were lucky enough to receive, but my son has. In fact, he even hid a few boxes so that his dad and I couldn't eat them because he REALLY liked them and said he didn't want to share. The Cookies & Cream Nogii Super Protein Bars and Vanilla Bean Protein Powder are his favorites. While the Nuts About Berries Nogii Paleo Bars were his least favorite. My husband, son, and I are really loving our #‎NoGiiLife experience. The chocolate covered protein bars, D'lites, and protein powder all taste great and really give us what we need to get through our daily routine. The Nogii protein bars have proven to be perfect as a meal replacement or after a workout, and the D'lites are perfect for the little snack or pick-me-up when your body is wearing down. As Elizabeth and her husband, former NFL quarterback Tim Hasselbeck put it: "NoGii is the SUPER-PROTEIN, ALL-NATURAL, GLUTEN FREE food solution. It goes where you go. Ultimate taste; high voltage, high-energy, and even higher protein (30g) to meet men's even higher nutritional demands. Exceed expectation with the fuel from NoGii." Have you tried any of the Nogii gluten free products? I received the products to facilitate my review and share my 100% honest opinions with you. I received this opportunity, along with the products for free from the sponsor of the Moms Meet program, May Media Group LLC, who received it directly from the manufacturer. Haven't tried these products yet. However, they do look delicious! Oh these look and sound delicious! Will have to see if a store around me, carries them! Sign me up! I am ALWAYS looking for stuff that I can just grab and take with me on the go! These products look amazing! While my family is not currently gluten free, I do try to have better for them snacks on hand and I'll have to check these out! I know a lot of people don't like the texture of protein bars but I really do. They are filling and there are some that taste as good as a candy bar! I've never heard of this brand, but I like keeping a protein bar or granola bar in my bag too keep me from getting hangry. I'll have to keep my eyes open for this kind! We are on the go a lot right now, so having some of these handy would be so great. I need snacks with protein to make it through the day. Well that would certainly keep some energy from flagging! These all look great! I may not be able to eat these since they have whey in it (sensitive to milk and anything derived from it), but they certainly do sound delicious! I love protein bars, especially when I'm on the go. I have not heard of these before but it's always nice to find something healthy to take on the go. The Cocoa Brownie bars sound good.